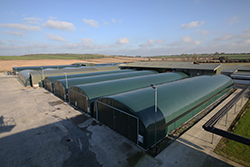 Blog › Available Jobs › MUSHROOM HARVESTERS AT WALSH MUSHROOMS GOLDEN LTD. This job involves manual harvesting of mushrooms and placing them into customer packaging at a specific weight, size and quality. The Company uses local property agent in Golden area to provide accommodation. The rental cost of accommodation is €60/week (utility bills included).